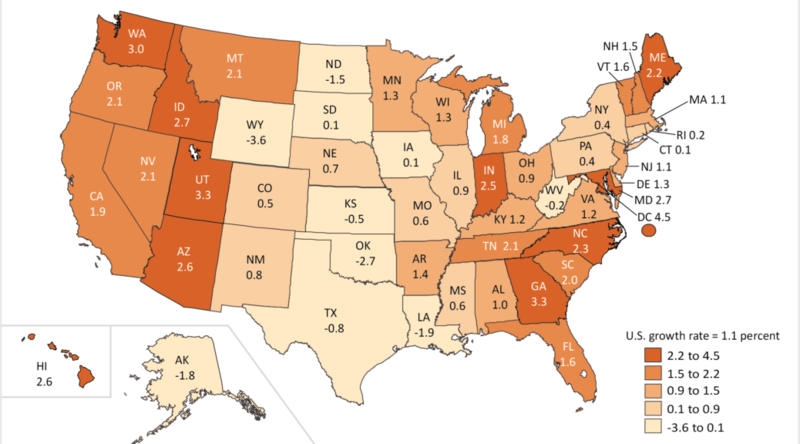 Personal income in Wichita and Kansas has declined. 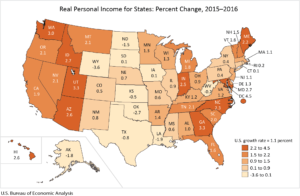 Today the Bureau of Economic Analysis, an agency of the United States Department of Commerce, released real personal income for the states and metropolitan areas. 1 The data released today is through the complete year 2016. 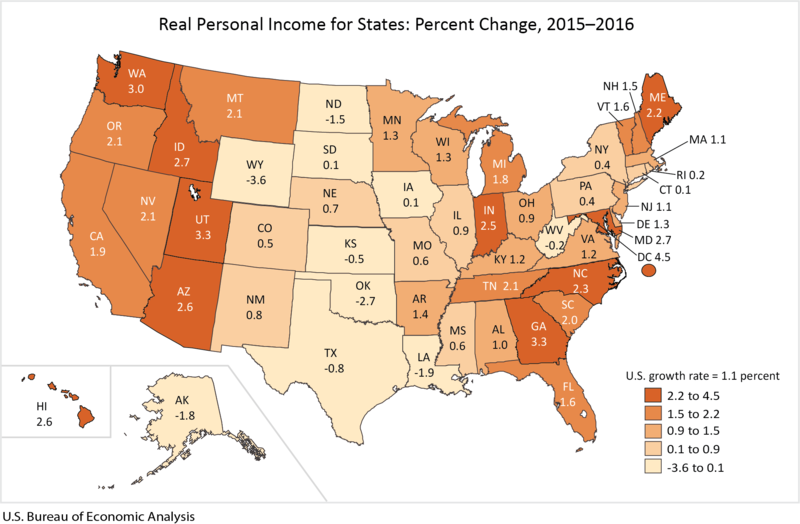 Real Personal Income for States, 2016. Bureau of Economic Analysis. Click for larger. 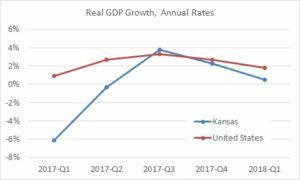 For the state of Kansas, real personal income declined from $137,975 million in 2015 to $137,307 in 2016, a decline of 0.5 percent. For the entire country, the growth was 1.1 percent. 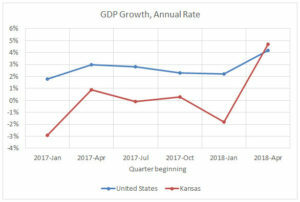 Among the states and DC, Kansas ranked forty-fifth in magnitude of change. For the Wichita metropolitan statistical area, real personal income declined from $30,913 million in 2015 to $30,747 in 2016, also a decline of 0.5 percent. Of 382 metro areas, Wichita ranked 337th in magnitude of change. 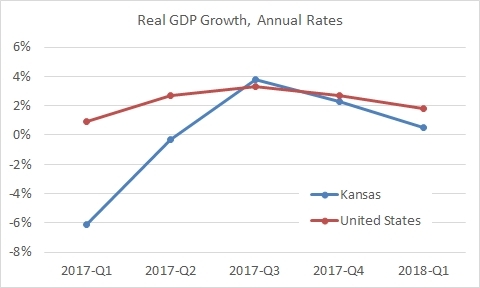 Looking at per capita figures, real personal income per capita in Kansas fell from $47,483 in 2015 to $47,221 in 2016, a decline of 0.6 percent. 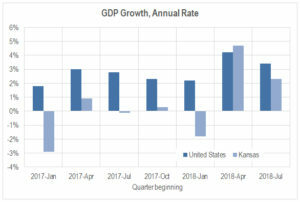 For the entire country, the growth was 0.4 percent. 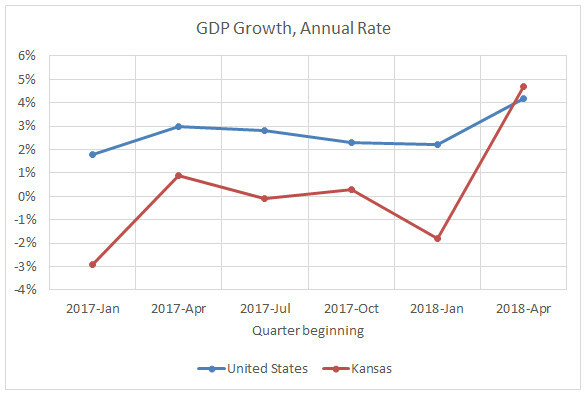 Among the states and DC, Kansas ranked forty-third in magnitude of change. Real personal income per capita in the Wichita metropolitan statistical area fell from $48,076 in 2015 to $47,694 in 2016, a decline of 0.8 percent. Of 382 metro areas, Wichita ranked 325th in magnitude of change. “Real” means that the values are expressed in a way that recognizes the effects of inflation. 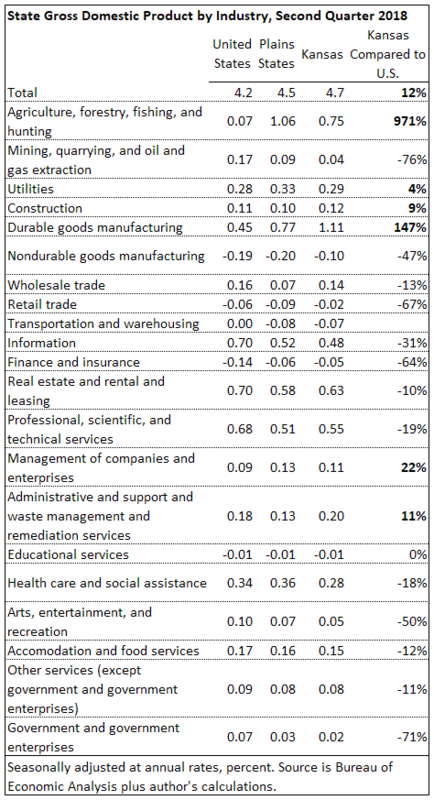 In this case the values are in “millions of chained (2009) dollars.” Additionally, BEA uses regional price data to measure and account for the effects of regional inflation. 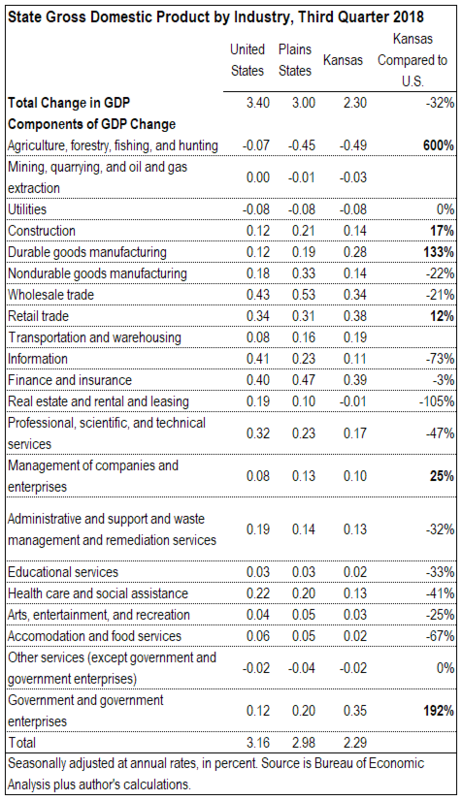 BEA offers this definition: “Real state personal income is a state’s current-dollar personal income adjusted by the state’s regional price parity and the national personal consumption expenditures price index.” 2 Metro personal income is defined similarly.